Why didn&#39;t we get that on video? Why didn't we get that on video? This morning after breakfast we learned how to make our favorite Kenyan foods from Jane, the Daraja House cook. 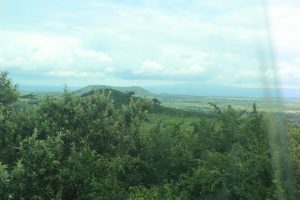 Some of the recipes we learned to make were chipatis, chai, tortilla chips and ugali. We are excited to try out these recipes for all of you, but we may need to practice first! Some of us played card games while others finished up last-minute packing for our journey home tomorrow. After we finished packing up, we had some free time so we decided to go back to the vine and take our turns swinging. We shared a lot of laughs and have some funny stories to tell when we get home. Unfortunately we didn’t get it all on video. Later in the afternoon, Esther and Isaac and some of their fellow RVF staff came to visit us to talk about our time with them. 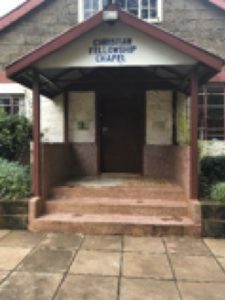 We sang worship songs in English, Swahili, and Kikuyu. 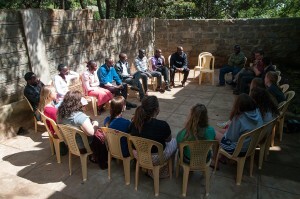 We also shared stories about how we have been impacted by this trip, specifically in Maai Mahiu. 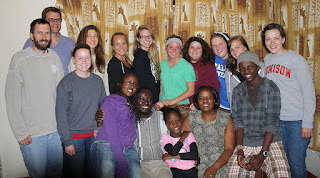 This evening we had the opportunity to go to Isaac and Esther’s home for dinner and fellowship. With great remorse we said our goodbyes, took pictures and then headed back to the Daraja House. We are excited to share all our stories with our family and friends. Can’t wait to see you all Saturday afternoon! P.S. This is not the last blog entry for this trip. We're planning one more next week: a compilation of our responses to what we've experienced and learned. Check back in a few days! Im sure the return home is a bittersweet one, but we can't wait to have you guys back. Super excited to hear all the stories and for some Kenyan cookin!